Members of the NYPD's mounted unit saved a dog hit by a car on the Belt Parkway Tuesday. 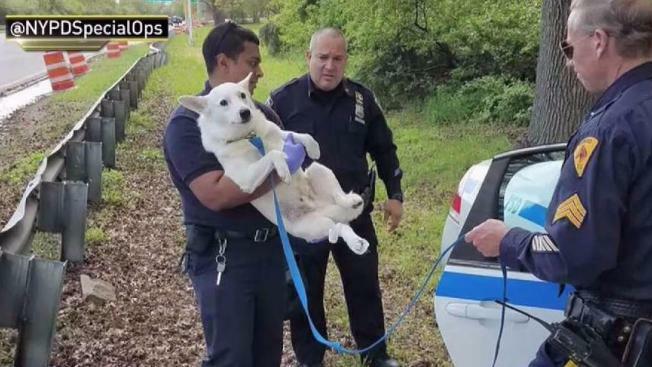 A photo posted to Twitter shows officers carrying the adorable white pooch to a waiting police car. The canine appears calm as it gazes directly at the camera for a photo op on its way to safety. Police say the dog was taken to a nearby veterinarian and is expected to make a full recovery. It's not clear if the car that hit it remained at the scene.